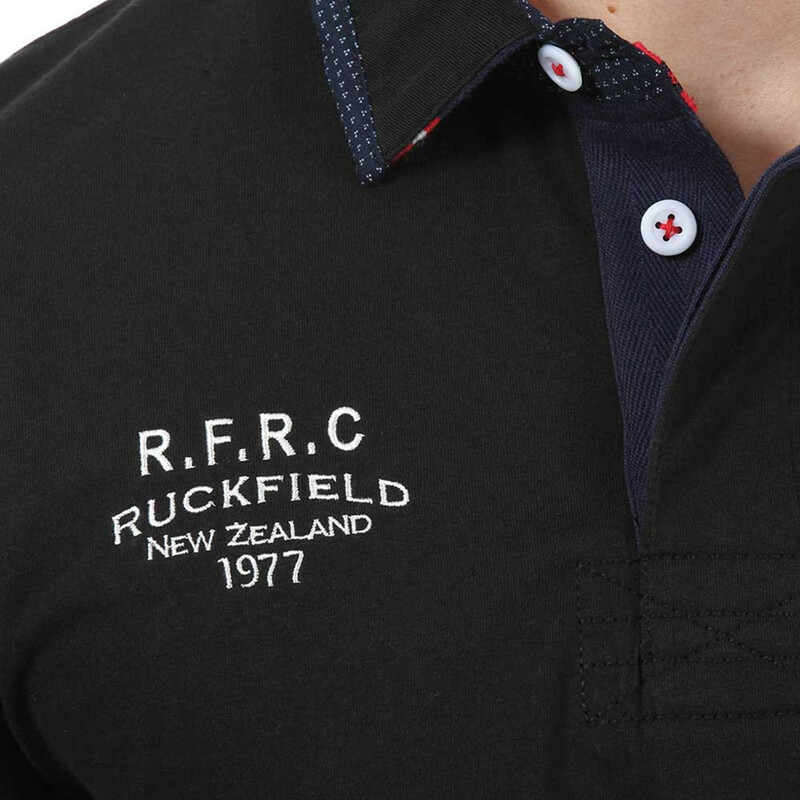 Let you tempted by this short sleeve polo by Ruckfield made of 100% cotton with embroideries on chest. 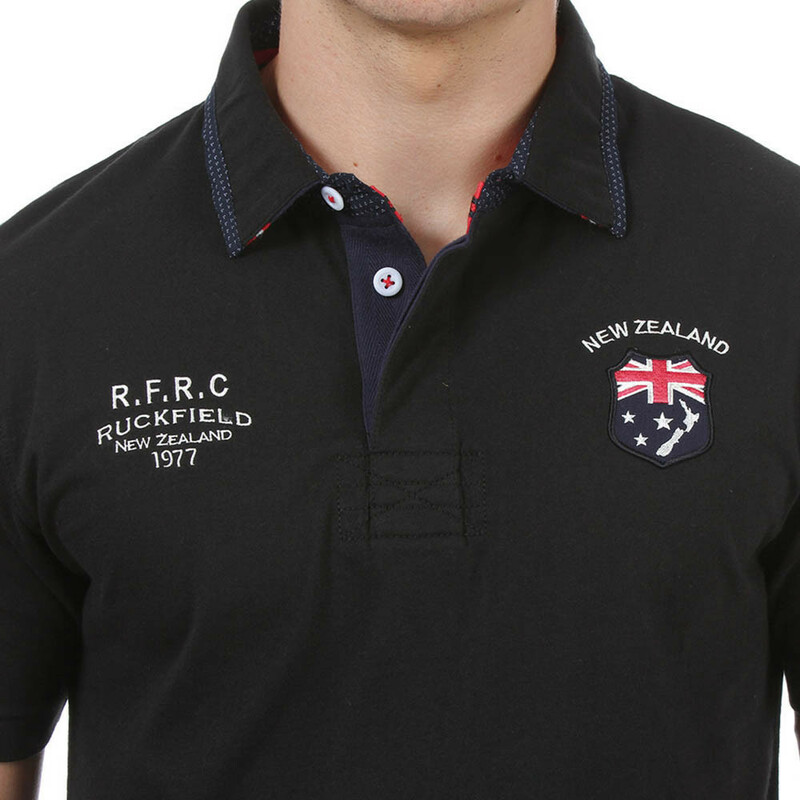 This stylised polo has been influenced by famous Rugby Nations such as New Zealand and France. Available from S to 5 XL. Our model is 5'10/1m82 tall and wears size L.
Measure horizontally under Adam's apple. Measure around chest with tape under armpits. Measure around your natural waist. 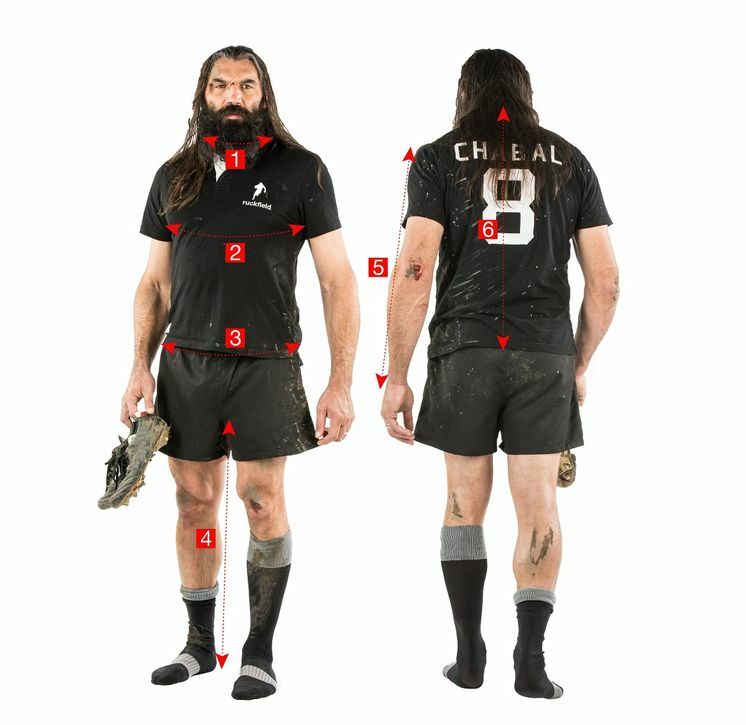 Measure from crotch seam to foot soles. Measure from shoulder to wrist. Measure from upper back to low waist. 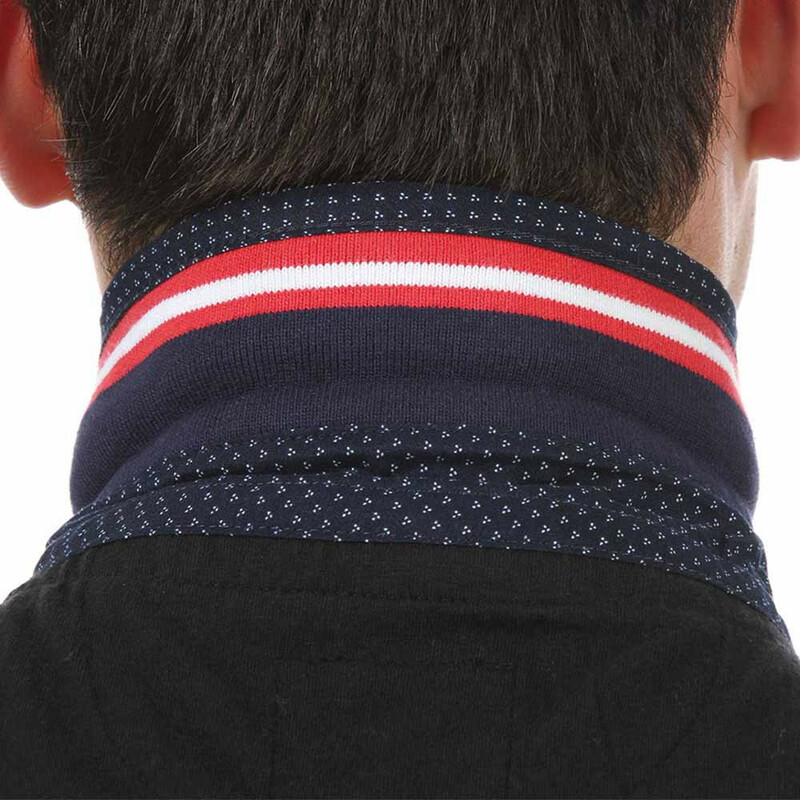 The more closer measures are from red figures the more close-fitted garments are. Conversely, the more closer measures are from black figures the more loose-fitted garments are. Your package delivered everywhere in the world with Colissimo and Fedex. Our customer service is at your disposal for any return or exchange request. Contact us to be informed about your order status. Payment information will never be registered on our website. View the dedicated page explaining how to be assured. © 2018 Ruckfield. All Rights Reserved.